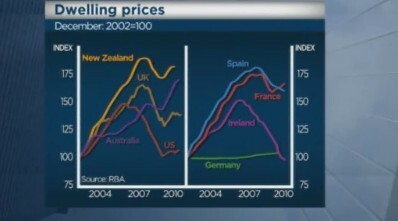 Reserve Bank of Australia (RBA)- property spruiker? So, what’s wrong with this analysis? The answer can be found on the last paragraph of page 18 of How To Foolproof Yourself Against Salesmen & Media Bias. So who are the people most likely to snap up investment properties? Interestingly, it appears that Reserve Bank officials are the keenest investors in rental properties. ?We are not sure whether to be relieved or concerned that of the five central bankers who were brave enough to note their occupation on their tax form, all five had an investment property! ?, the report says. ?Of the 200 occupations classified by the Australian Tax Office, the employees at the Reserve Bank topped the list with respect to their investment property exposure. ?